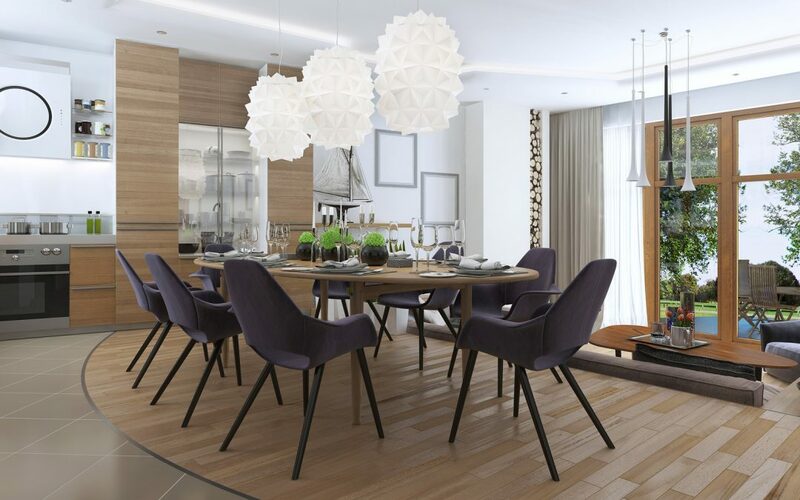 Made of finer, denser clay and fired at higher temperatures than other types of tiles, porcelain tiles are tougher, more durable, and more resistant to scratches and stains. Today, porcelain tiles are one of our most popular flooring options. These tiles are ideal for nearly every flooring application, offering numerous design and pattern options for both residential and commercial flooring. Of course, though porcelain has a pretty solid list of pros, there are also a few cons. We share both to help you make the best choice for your flooring project. 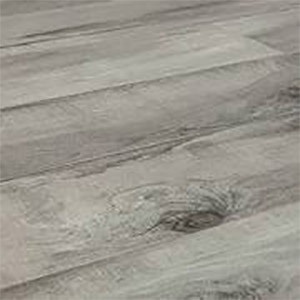 If you’re looking for strong, resilient, stain-resistant flooring, porcelain tiles make a great choice. Durable: Porcelain is dense, extremely hard, and solid, making it tough and heavily resistant to impact stress. It holds up well in high traffic areas and even commercial environments. Easy to repair: Though extremely strong and resistant to breakage and cracking, porcelain tile is not invincible. If tiles are damaged, simply remove the damaged tile and replace it. This is why flooring experts recommend purchasing at least one extra box of tile at the time of installation, to ensure you have matching tiles on hand. Fireproof: Under normal conditions, porcelain tiles do not burn and may in fact help retard the spread of fire. Long lifespan: Properly installed and maintained porcelain tiles last for decades. Low maintenance: With its stain and liquid resistance, porcelain is extremely low maintenance. Spot clean spills with a damp rag and regularly sweep away debris to keep porcelain flooring clean. You may also use a damp mop with a pH-balanced detergent mixed with water to disinfect porcelain tile floors. Many styles available: Porcelain tiles come in a wide variety of styles and finishes, including granite, limestone, marble, slate, and wood. You can find tiles to match any décor. Resists liquid: The extreme density of porcelain means that it resists liquid penetration much better than porous ceramics. Porcelain isn’t always coated, since it holds a shine extremely well with simple buffing, but the addition of a melted glass glaze makes porcelain completely impervious to liquid. Resists staining: Even without a coating, porcelain naturally resists staining, thanks to its liquid repelling properties. When glazed, the surface of porcelain tiles is nearly impossible to stain. Despite all of these advantages, there are some disadvantages to choosing porcelain tile. Difficult installation: As already stated, porcelain tiles are heavy and dense, making installation a real challenge. The difficulty cutting these tiles makes getting a precise cut difficult at best and often leads to a great deal of waste. You definitely need extra boxes of tiles if you plan to install yourself. Unless you have ample experience installing tile, professional installation is much the preferred method. Difficult to cut: Porcelain’s extreme density makes it highly durable, but it also makes it difficult to cut. This presents a challenge during installation, particularly when working around architectural features. Expense: Porcelain tiles typically cost more than standard ceramic tiles, especially when you add professional installation, which adds around 30 to 40 percent to the price of the tiles. Of course, the long life of porcelain typically means that these floors eventually pay for themselves. Grout stains: Porcelain resists staining and liquid penetration, but the grout between tiles is highly porous and vulnerable to both. If you fail to properly seal the grout, it sustains damage over time, and may even cause the tiles themselves to stain. Proper care helps protect the grout from staining, as well as from the mold and mildew caused by humidity and environmental moisture. Heavy weight: All hard tile flooring is heavy and porcelain is certainly no exception. The weight makes installation difficult and labor-intensive. It also limits use in upper stories. Before installing porcelain tile flooring in upper levels, make sure the building design includes the ability to handle the extra weight. 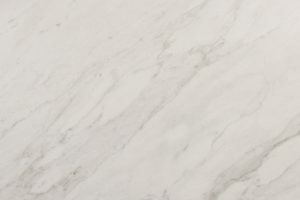 Unclear labeling: The U.S. doesn’t have defined guidelines surrounding porcelain tile labeling and certification processes are voluntary, meaning that retailers have tremendous leeway in how they describe their tiles. If your goal is flooring that lasts for decades and holds up well in high traffic areas, porcelain tile makes a great choice. They withstand most stressors, resist staining, come in a wide variety of patterns and styles, and are extremely simple to clean maintain. If you prefer the DIY approach or have budget constraints, you may want to consider another option, as these tiles cost more than standard ceramic and are also difficult to cut and install. If you’d like to learn more, schedule an appointment to visit our showroom and discuss your flooring project. Our experts can provide advice on a variety of flooring options. Huge Selection, Top Brands. 0% Financing for 48 Months*! Call us today for a free consultation: (480) 568-6500! *On approved credit (OAC). Restrictions apply. Contact a sales representative at Ocotillo Flooring Services LLC for details. Our entire team is committed to your complete satisfaction. Our installers are hand-picked and the best in the industry, and our sales representatives are experienced and knowledgeable. Contact us today to schedule a free consultation!